Vi Redd, although greatly underrecorded throughout her career, is a passionate bop-based altoist and an exciting singer. The daughter of drummer Alton Redd, Vi was surrounded by music while growing up. 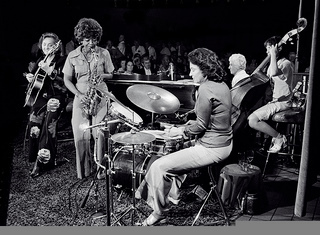 She played locally, worked outside of music for the Board of Education during 1957-60 before returning to jazz. Albums: "Lady Soul," "Bird Call"